I am so excited for the 13/14 ski season! ≈ Comments Off on I am so excited for the 13/14 ski season! Beer goes of a ride! 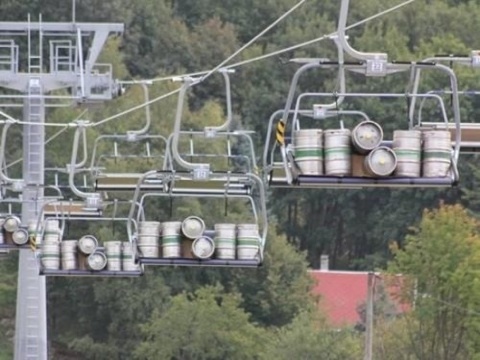 Looks like this ski area is gearing up for the 13/14 season. I have to be honest, the last few winters haven’t been great skiing for me. I started school at Colorado State in 2009 which had a record snow year and the 10/11 season wasn’t a bad one. The past two years have been less than stellar. Between bad snow, rocks, ripped out edges, ice skiing, and not skiing enough to make my pass worthwhile, Colorado, and myself, want a good ski season!